The depth chart: How is your club placed? 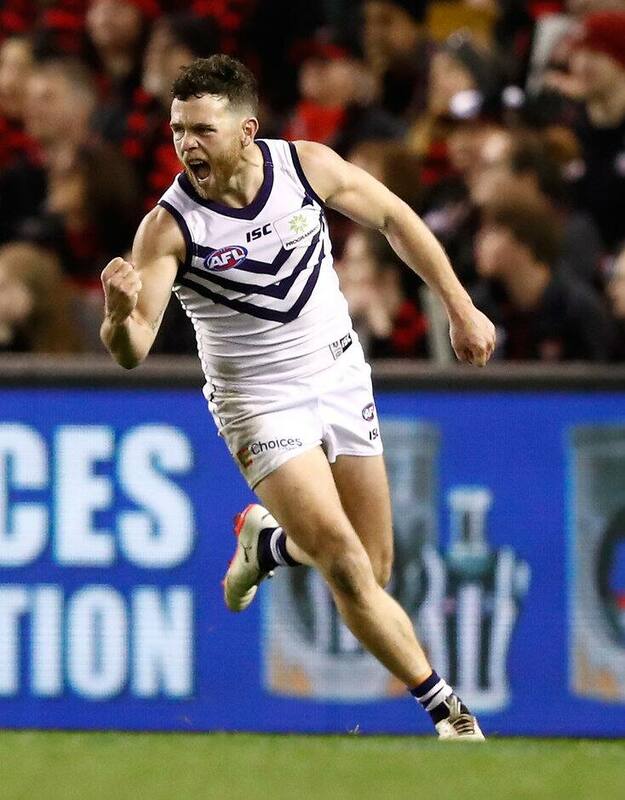 FEISTY small forward Hayden Ballantyne will extend his Fremantle career into a 10th season after putting pen to paper on a one-year contract extension. The 30-year-old endured a frustrating 2017 after ripping his hamstring tendon in the JLT Community Series but he played the final 10 games and booted 11 goals, and is keen to be part of the club's rebuild. "I was flat when the season ended to be honest, as I was just starting to get a kick towards the end," Ballantyne said. "I only played 10 games but next year I’ll be pushing for a good pre-season and hopefully a big season in 2018. "It’s only early in the off-season so I haven’t set any goals for 2018 but I definitely will focus on having a big pre-season, staying fit and looking to play every game. "It’s great to sign on. It was exciting to see the young guys coming through this year. "They played some good footy. Hopefully next year we can get some more wins on the board and continue to improve and grow our young playing group." There was plenty of speculation about Ballantyne's future throughout 2017 before coach Ross Lyon publicly backed the veteran in July, declaring his work ethic and character were important traits around a young group. "We’re really happy to have Hayden committed for the 2018 season," list manager Brad Lloyd said. "He has made a significant contribution to the club since being drafted in 2008 and had big impact in games and is a strong leader at the football club." Ballantyne has played 151 games for Freo and booted 232 goals – second only to club legend Matthew Pavlich's 700 majors – and he wants to play on beyond 2018. With Ballantyne locked away attention turns to other out-of-contract Dockers, including Michael Johnson, Jonathon Griffin, Zac Clarke, Nick Suban and Tommy Sheridan. High-flying forward Hayden Crozier is yet to recommit, while fellow Victorian Matt Taberner has delayed contract talks until after Peel's WAFL Grand Final on September 24.